The owners wanted a house that touched the earth lightly. 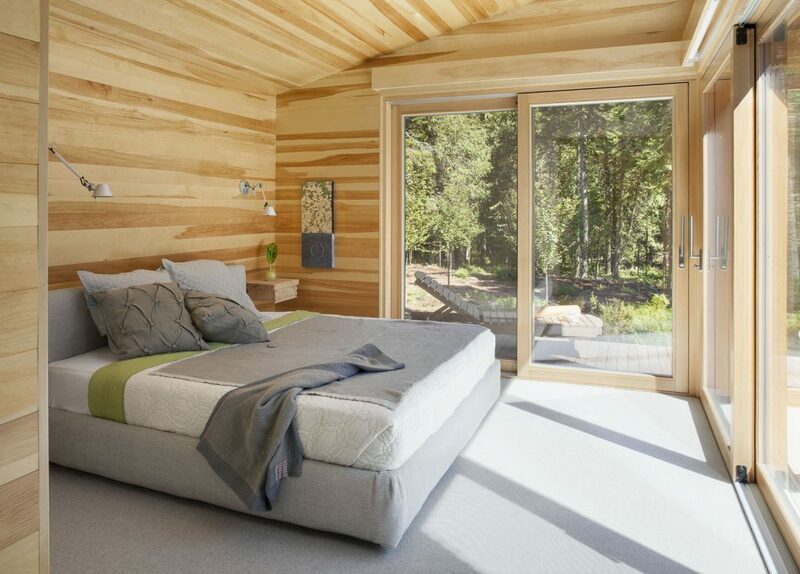 They are foresters and wanted the interiors to be made with clear pine from their sustainable forests. 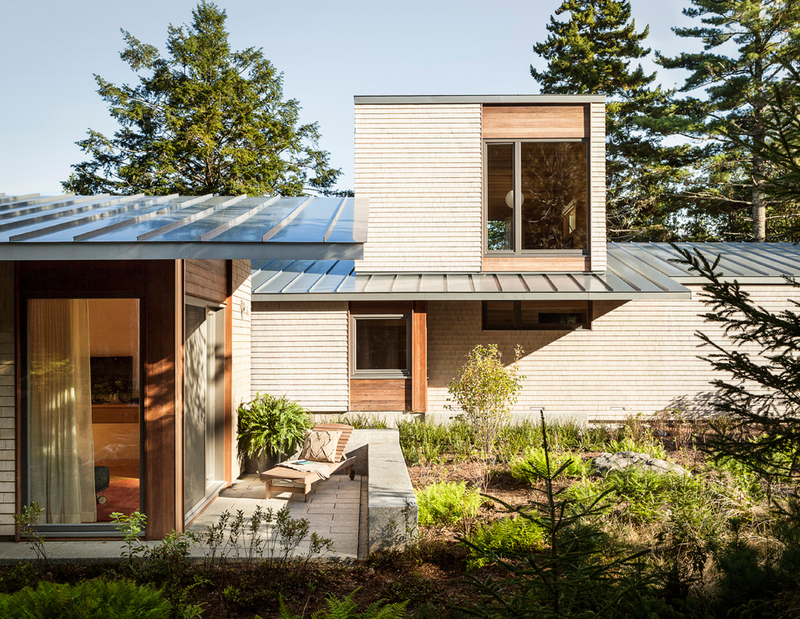 SSA designed a new 2,950 SF house with two wings, one for living and one for sleeping, using a limited palette of materials: stone, wood, metal, and glass. 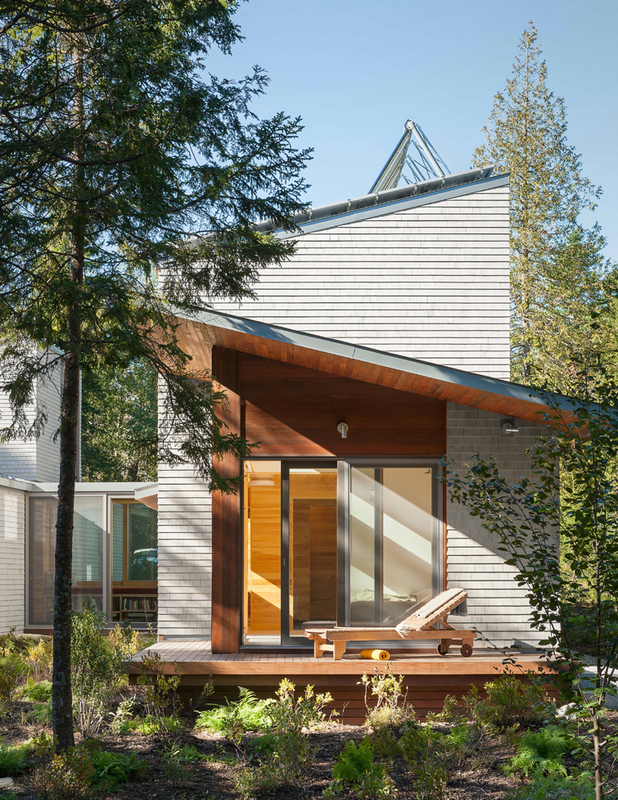 The building forms are simple and reach out to embrace the natural setting. 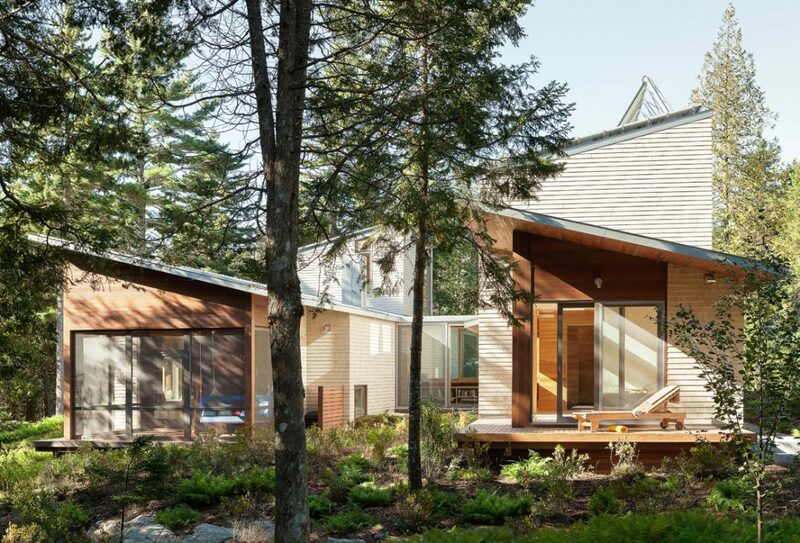 The roofs lift up to open the house to the sun and views of the mountain and pond. 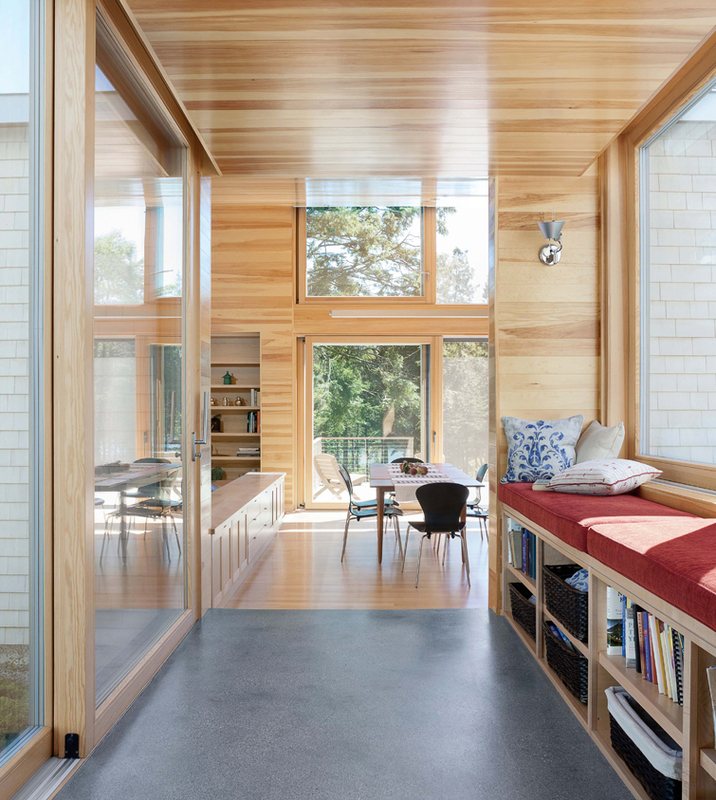 The rooms are modestly sized, with generous amounts of natural light. 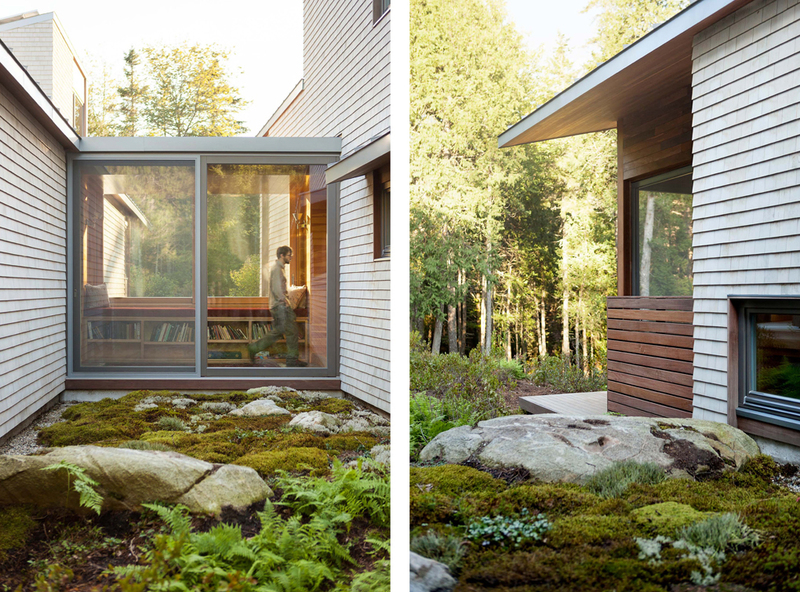 Exterior decks cantilever over a landscape of ferns and moss. 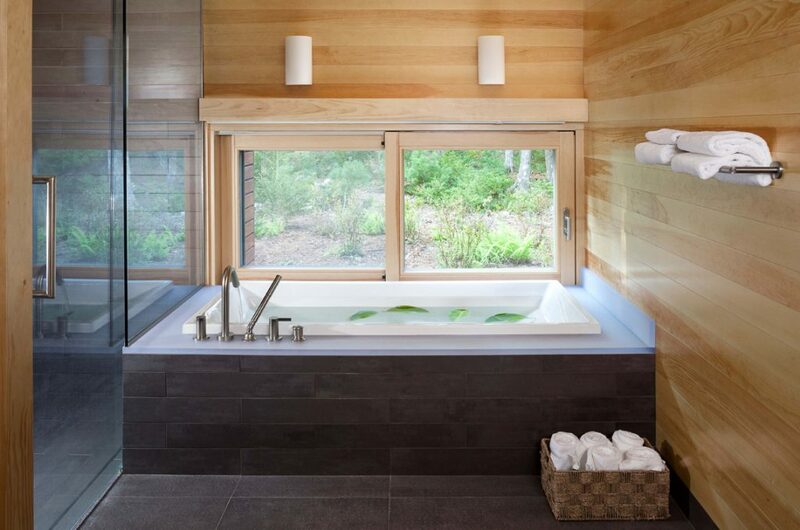 The project received LEED Platinum/Net Zero certification and features high performance air-to-air heat exchangers; photovoltaic panels for electricity; solar thermal panels for hot water; ultra-low flow/dual flush fixtures for water conservation; LED lighting; radiant heating; and IPE rain screen siding. Minimal clearing of the forest occurred. 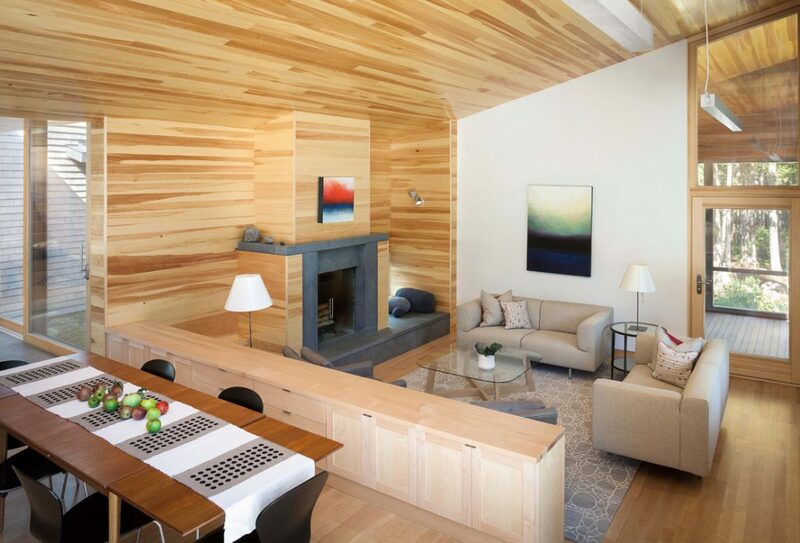 They named the house Pondicherry, a new settlement, to describe their new way of life, that sought to live in harmony with its beautiful natural setting, and meets the highest energy conservation standards.